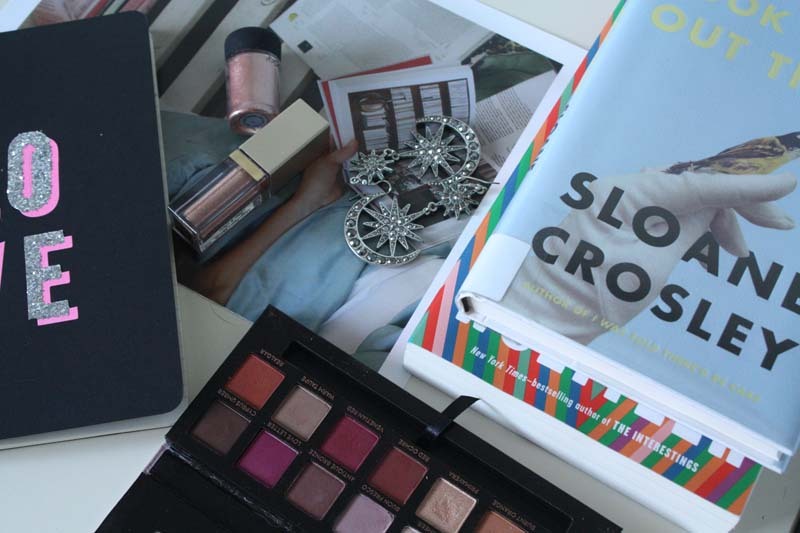 Another month, another round of beauty+lifestyle bits I've been loving. I feel like May has gone 'blink and you'll miss it' fast. It's been mostly good but a lil' not so good. Anyway... During May I've found a few new beauty loves, rediscovered some things from times past and finally read a book I'd avoided for years. May Favourites, here's lookin' at you. 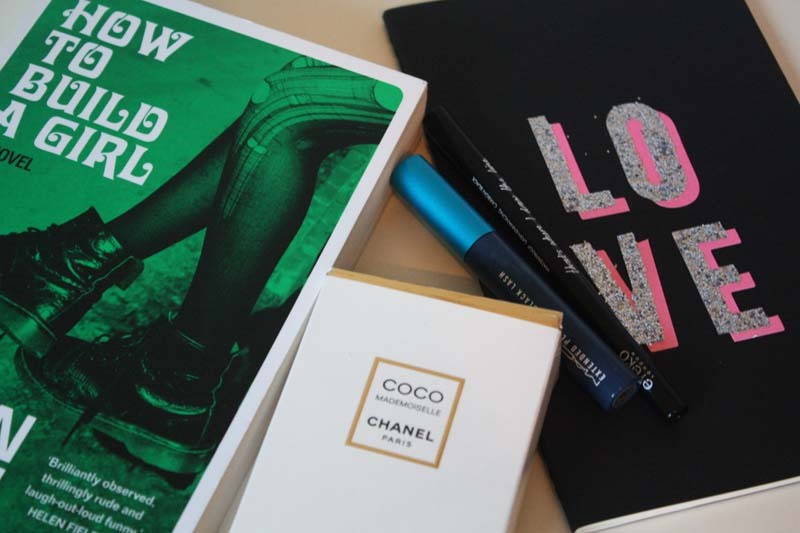 Eyeko 'Eye Do' Eyeliner: I used to use this eyeliner back in the day, after I purchased it in a set with the Eye Do Mascara, designed in collaboration with Alexa Chung. It's still alive and well and thankfully so because it's a bloomin' good liner. Easy to use, blacker than black, budge proof. There's not much more to it than that really. The Body Shop Adriatic Peony Bath & Shower Cream*: Peonies are some of my favourite flowers so I was probably bound to love this. Regardless, I feel like The Body Shop do bath+shower products well. Their shelf-lives are reasonable for starter. This one is available in a travel-friendly size too. Always a bonus. This is essentially an in-shower body moisturiser. It does have a slight lather as well and the scent is divine. It's not overpowering and is perhaps only detectable to the wearer post-spritz but I don't mind that in the slightest. How To Build A Girl** x Caitlin Moran: So I admittedly held off on reading this book for ages. By ages, I mean years. I think I had it in my head that Moran's fiction wouldn't live up to the greatness of her essays. A very misguided prediction. 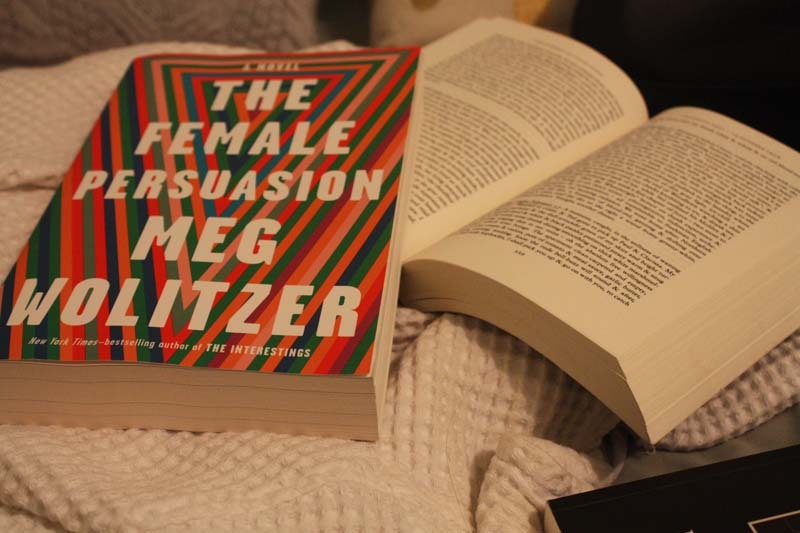 Safe to say I loved this 'semi-autobiographical' novel about Johanna Morrigan, an aspiring music journalist who dreams of seeing her name in print and a life of notoriety in London. She gets that and more, although perhaps at a cost. Such is the nature of being young and making mistakes. This book is hilarious, moving and captivating. Caitlin's fiction didn't disappoint me. I cannot wait to read How To Be Famous, released in July. MAC Extended Play Mascara: So I finally grabbed this after hearing Sam sing its praises in her videos for years. Worth the hype and it looks amazing layered up and worn with curled lashes. I know mascara's such a subjective thing but I believe this is one of MAC's bestsellers so that probably speaks volumes on its own. I think I might have found my dream mascaras in the last two months. It's only taken me a few years. Moleskine Notebooks: Way back in the Uni days, these were my notebook of choice. I had them in varying sizes and colours. Well I've gone back to these ones and they are so good. I use them for journalling, keeping to-do lists, noting down podcast recommendations and of course the not so exciting grocery shopping lists. I love that they're well-made, relatively inexpensive and have a back pocket for stowing away random scraps of paper and the like. 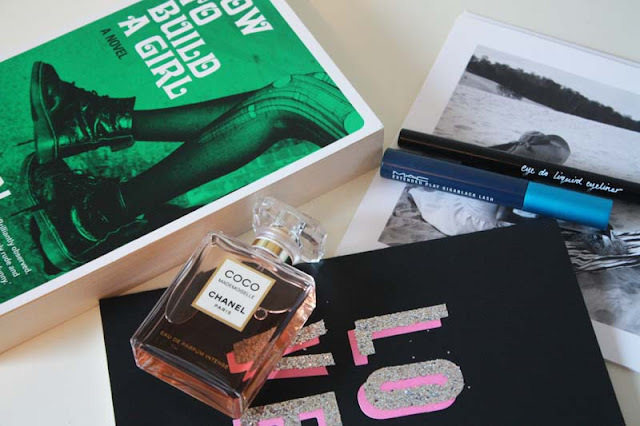 Coco Mademoiselle Intense: The original Coco Mademoiselle is a staple in my perfume lineup, see this post for evidence. So when I spritzed and had the new incarnation sweep me off my metaphorical feet, I needed it. Think of this as a more longer lasting, powerful version of the original. It's my new MVP perfume. -What have you liked during May? Hello, it's me. Long time, no blog but never mind, I am back now. I knew when I returned to blogging that I would be publishing this post first. Ever since the cloud-nine experience that was Saturday week, I've been wanting to write about it. Too Much & Not The Mood was a book I purchased on a whim in Wellington last year. I ended up falling in love with its unconventionality and absolutely luscious writing. Ella and Durga met through their mutual friend and fellow genius Tavi Gevinson. I'm referring to Ellas as Ella here because honestly, I think of Lorde as Ella most of the time. Even though we are certainly not on a first-name basis. Anyway, at the beginning of the session they spent a bit of time discussing colour. They made note of the aura readings they had done in New York City and how Ella+Durga really conversed a lot around the time Durga's book was finished up. It coincided with the completion of Melodrama. They spoke about how purple was and is a pivotal colour for Durga. It's a colour of nostalgia and homecoming throughout Too Much & Not The Mood and she saw it everywhere during the writing of this book. For her, this shade was a return to childhood. 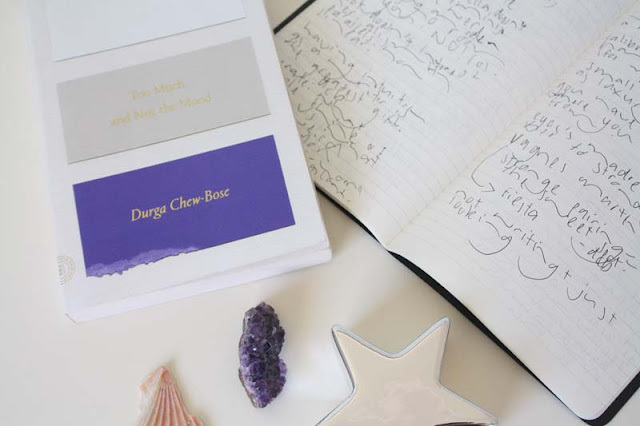 *Reference point: Ella & Durga made note of Maggie Nelson's book Bluets at this point. A fantastic book and one I really need to revisit soon. They spoke about the Heart Museum essay and Ella described it as a "big, bright, crash course in Durga". This is the main essay in Durga's book and initially it was meant to be one page. Durga wanted to do something in homage to Lydia Davis who is known for her shorter essays. She spoke about how plot doesn't interest her. // This reminded me of Ali Smith whose writing also follows non-linear structures. *Reference point: White Girls x Hilton Als. I've ordered this from the library to read. "Having intuition as a writer is the greatest gift." -I loved this sentiment so much I tweeted it in real time. Writing is always about a return. -Another idea I liked. The calibre of women. Durga spoke about how for her, bank tellers represented the ultimate in luxury for women. Like the visual representation of having 'made it' I guess. This point really resonated with me. For me the idea of a women+height of sophistication growing up was tailored coats and detectable perfume. *Reference point(s): Agnes Martin, more specifically this. Ella and Durga both spoke about Agnes Martin's work. They also spoke about Polly Platt, screenwriter and production designer. *Reference point: The Poetics of Space x Gaston Bachelard. Towards the end of the session Ella asked Durga about the space she wants to occupy as a writer. Durga said what she's learning is you don't have to be one kind of writer or artist. The opportunities she is being presented as a result of her book are ones she wouldn't have assumed were accessible to her. // As an aspiring writer I found this particularly inspiring and a reminder to not assume that doors will alway remain closed. So I loved this session and got a lot from it. Hopefully Auckland Writers Fest will upload the podcast/footage because I believe this session was being recorded. Also Ella should totally chair more panels because she's pretty damn good at it. Stephen Fry x The Happy Place: This podcast comes at the recommendation of Emma, thanks Em! A podcast discussing mental health as well as generally fantastic yarns between Fearne Cotton and her guests. She's also interviewed Alexandra Shulman, formerly of British Vogue among others but her conversation with Stephen Fry stands out. Frick he's an amazing man and conversationalist. Get Fry on every podcast. All of them. Anne Marie Duff x Desert Island Discs: I bloomin' love Desert Island Discs. I've listened to some of the episodes more than once and have a lengthy list of archival episodes to listen to. A favourite, just for the sheer fascination alone is the Princess Margaret episode from the 1980's (questionable music taste, entertaining interview). Anyway, one of Kirsty Young's latest castaways was Anne Marie Duff, an amazing actress of both stage and screen. I think she's usually a bit press-shy so it was really fascinating listening to her talk about theatre and her schooling+background, as well as her songs she chose+why. Also, love the mix of music she selected as well. So good. The High Low: Hosted by Dolly Alderton and Pandora Sykes. My current favourite podcast and one I am probably going to make my way through the archives for. It's very topical and usually centres on a wide range of things per episode. You're never bored listening to this refreshingly raw and always hilarious podcast. Dolly and Pandora could yarn for hours and I would not tire of it. Emma Freud + Vanessa Kirby x Love Stories: Another podcast hosted by Dolly Alderton, this time in celebration of her book. It's not all lovey dovey and nauseating romance chat, which is what I feared it might be. I'm really not sure how to best describe this podcast but it's really interesting and I loved hearing Emma and Vanessa speak on the subject of lurve. Side note: Emma Freud also needs to be on every podcast. All of them. God Only Knows x Soul Music: I'm not sure if this is a podcast or not, I just listen to it on the BBC's website. This. Episode. Though. I don't have a particularly memorable relationship with this song, other than I just love it for mostly inexplicable reasons. Okay because it plays during this scene at the end of Love Actually and it makes me all emotional and happy and argh. Anyway, Soul Music interviews people from all walks of life, sharing their memories and associations with particular songs. This episode focuses on The Beach Boys classic and it is a ride from start to finish. Yes, I did have to disappear quick smart to the stairwell to have a lil' moment after hearing the story of the woman whose husband never came home. I need to look at some of the other songs they've covered actually. -What podcasts do you listen to and rate? "I'm tired of hearing people say they don't have time to read. I don't have time for anything else!" -George Whitman. If I had a dollar for every time I've had someone say they don't have time for reading, I'd have a nice lil' collection of gold coins. I totally get where people are coming from with this sentiment because lately I've been all kinds of tired and sometimes I do just want to stare mindlessly out the window on the train, listening to music. Sometimes I just want to come home and laugh at Karen Walker's one-liners on Will and Grace rather than reading a book. More often than not though, I will be reading in my spare time. Books are my tonic and my life would be so much less exciting without them. For that reason alone I am happy to make time for them. 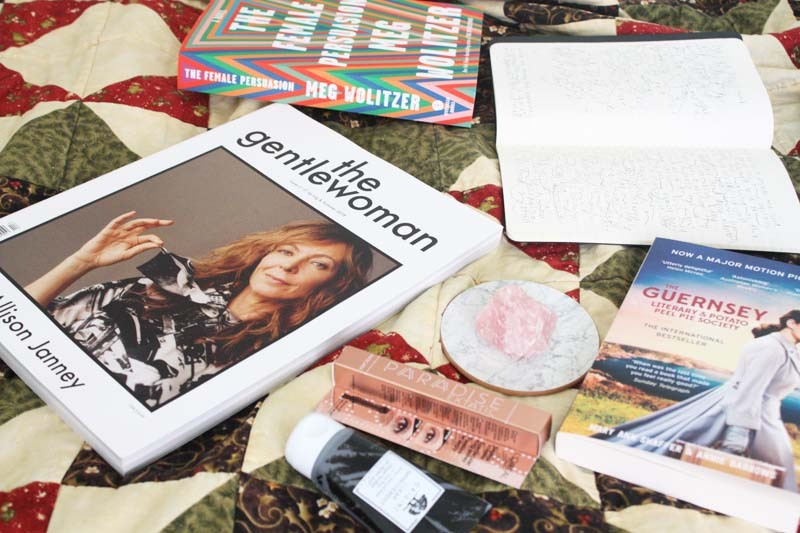 Today I thought I'd share some tips for incorporating reading into your life. Reading is fun okay!? Set Up A Goodreads Account: Goodreads is a bit clunky but it's pretty easy to use. Basically, you can use it to log books you are reading, have read or perhaps want to read. You can also see what your friends are reading too, granted they use the website and each year they have a reading challenge so you can use that as a goal/incentive to read. It also has a scanner within the app so if you're in a bookstore and want to remember a book to look up later you can use that. Side note, if you're on there, you can see my profile here. Have A Designated Time: For me, I like to unwind with a book at the end of the day. Usually I set a timer for 30/40 minutes before bed and just read. I'm not always consistent with this. If I'm tired I will just skip reading altogether and get some extra zzz's. Whether it's setting a reminder or making mental note of this time out, I highly recommend it. Go To A Bookstore: Ok so this isn't strictly about finding time to read but going to a bookstore and finding yourself some inspiration or a fresh tome to purchase can be all the enticing you need. Ask your local booksellers what they've been reading and loving lately. Get their recommendations based on what you've read and liked in the past. You cannot beat a firsthand recommendation. My go-to's in Auckland are Time Out and Unity Books. Join A Book Club: So this is one I kinda struggle with because it's surprisingly hard to find book clubs offline to join. I have found this one though and they have monthly meetups in Auckland and I believe somewhere in the South Island as well but also around the world. I'm yet to go to a meeting, this month will be the month though. Other great online ones are; Between Two Books, Belletrist and Our Shared Shelf. Heck, if you are super keen, start your own. Use Your Commute: I have a rather lengthy commute to work and honestly it's the perfect time for reading. I don't tend to come across people I know on the train very often so I can read uninterrupted and it's one of the best ways to zone out and get a rather decent chunk of reading done. On a good week I can sometimes finish two books this way, if not get a decent way through at least one. I know motion-sickness is a thing so this isn't necessarily an option for everyone. There's always audiobooks as an option as well. Books read by the authors themselves are the best in my opinion but there's brilliant narrators like Stephen Fry who narrates the entire Harry Potter series. Put Your Phone Down: Turn off Netflix. Unplug the devices. It's amazing how much time can be allocated and arguably wasted by these things. Yes I sound like an old person but seriously. Less Netflx, more pages. -What are your tips and tricks for reading more? Chanel Coco Mademoiselle: Probably the key mainstay or closest thing to a signature scent I will ever have. I'm not going to attempt to describe this one. It's such an iconic, distinct fragrance that I'm sure many of you will recognise it anyway. I prefer it to Chanel No. 5, a scent that seems polarising and I for one find it too...powdery if that makes sense. Anyway, I love this perfume so much. It's the MVP of my collection. 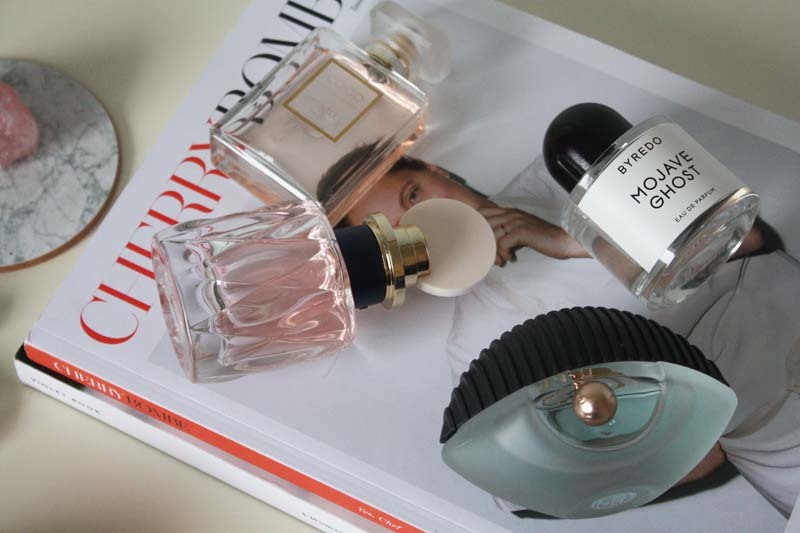 Miu Miu L'eau Rosee*: The newest addition to my fragrance lineup. I love all the Miu Miu parfums. They each bring something different to the table and this newest variant with a floral twist is heaven. It's on the lighter side but I quite like that for day to day. It reminds me of my favourite candle as well which is never a bad thing. NZ friends, you can nab this from select department stores and I believe the Duty Free halls if you're jetting off somewhere fancy. Side note: Wouldn't mind a spot of jetsetting right now. Byredo Mojave Ghost: The most luxe offering here and another of my ride or dies. I always describe this as a more sophisticated, adultier version of MJ Daisy. It's inspired by the desert flower of the same name and for some reason that's now giving me Stevie Nicks vibes. I don't know, just run with this analogy people. If you read the notes, combining anything from amber to sandalwood, you'll see it's a bit of an all-rounder. Byredo's fragrances are all incredibly unique and really bring something special so I would highly recommend you go have a spritz of them. Just be warned, it's hard not to find one that'll win you over. KENZO World*: I'm kinda obsessed with eye motifs, ever since I was given a greek evil eye bracelet, which has since broken, scattering eye beads everywhere. Anyway, this is the original World fragrance x KENZO. There's two new (ish) variants out now as well. Combining notes of peony and jasmine, this one is floral yet also fresh at the same time. It's not like those powdery, Avon-esque florals if that makes any sense. I'd say this fragrance would be the perfect one to gift, or one of the variants if you know the recipient a bit better. Who can resist that packaging as well? Swoon. -What fragrance do you use and like? It's no secret or revelation now to anybody that Ali Smith has fast become one of my favourite writers. Well she's been slowly making that a reality over the last couple of years as I make my way through everything she's ever written. I feel like in NZ at least, she's a bit underrated and dare I say it, perhaps more 'niche'. Her writing is very distinct and certainly not for everyone. It requires patience and a willingness to break away from the traditional ideas we have for the way in which a text should be constructed. They are rewarding and her works are just beauteous in my opinion. Today I thought I'd compile a little reading list of books by Ali that I've read myself and hopefully convince someone to read her work. If only so I somewhat selfishly have more people to wax lyrical offline about her work to. how to be both: I wrote a rather lengthy review of this title here. In summary, the text is split into two narratives, camera and eyes, which both intertwine. It dwells on concepts of art, loss and love, as well as the transcendentalism of time. It's a book of contemplation and meaning. The book is split between two time periods, 2014 and renaissance Italy and is inspired by the multifaceted layers of fresco paintings. Go read my post about it for more details but honestly it's one of the best novels I've read this year, possibly ever. the accidental: A book that is going to forever remind me of Summertime as that is when I read it. A dysfunctional yet somewhat eccentric mix of characters on holiday in Norwich have their lives forever changed by a university student, Amber. The novel follows a three-act structure, with each closing with cinematic references of some kind. All the more clever when you realise Astrid, the protagonist has a passion for videography. It's another exquisite book combining various narrational styles. artful: "You can't step into the same story twice, or maybe it's that stories, books, art can't step into the same person twice, maybe it's that they allow for our mutability, are ready for us at all times". 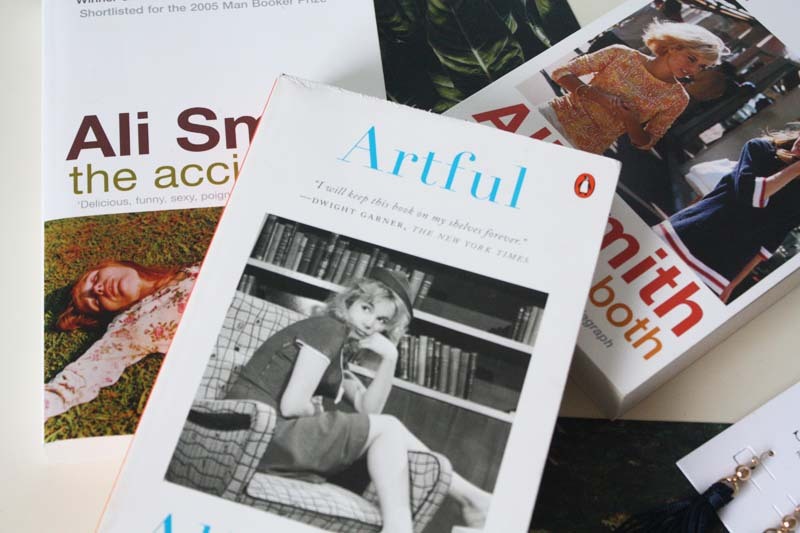 Artful is essentially Smith's ode to art and literature. Constructed as a series of lectures that are naturally almost like stories and go beyond the mere surface of a condensed academic lecture. Heck, if all my lectures had been like this, Universty would have been much more enticing. Anyway, I loved losing myself in this book on many a train trip to and from work. the seasonal quartet*: So far, Autumn+Winter have been published with Spring and Summer still to follow. Admittedly I have only read Autumn and loved its currency and the fact it was so quick to read and escape into. Winter is on my to-read list. ASAP actually, but I am making myself finish some other books first. public library and other stories: I loved this short story collection, which acted as both fiction and nonfiction. Each story is prefaced with anecdotes about libraries and their unfortunate demise in the digital age. I read this collection ages ago but will be rereading it in the not-too-distant future. I do remember thoroughly enjoying it though. 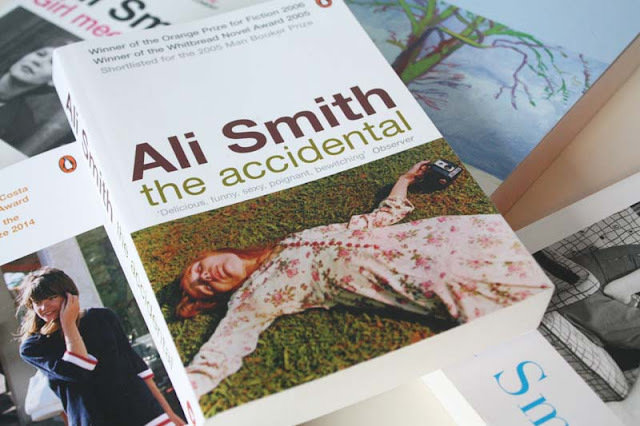 -Have you read any Ali Smith books before? What did you think of them? The Gentlewoman: I love me a longer-form magazine. One that's really like a weighty coffee table book. Designed to be read slowly, luxuriating over the words and imagery. That to me is the beauty of The Gentlewoman. The latest issue profiled Tavi Gevinson (fave), Allison Janney (also fave), Val McDermid, Katharine Hamnett and others. There's stunning fashion editorials as well and plenty of bite sized stories to peruse. I love their lengthier profiles in particular-the website's archives are worth checking out but the magazine in person is an exquisite treat. Feud: Bette & Joan: So I'm kinda pushing this show on my friends and family at the moment, #sorrynotsorry so I might as well carry it over to this corner of the internet too. I love me a good celebrity biopic and when this was announced, I was really excited. Susan Sarandon and Jessica Lange, yes please. Not to mention I find the whole unravelling of Hollywood starlets devastating yet fascinating all at once. You want to look away but can't. So admittedly I didn't know a lot about Joan Crawford or Bette Davis prior to watching this series but I am learning. I grabbed a book detailing their varied feuds and am immersing myself in it as we speak. Anyway, this makes for compelling viewing. I more or less watched all eight episodes in a matter of days last week. The costuming as well is worth a mention. I'd like every pair of sunglasses Susan Sarandon wore please and thanks. I'll definitely be rewatching this at some point. L'Oreal Paradise Mascara: The hype is real with this mascara. I'm guessing there's been a ton of fanfare on and offline because it's been sold out whenever I've gone to find it. Thankfully, my local Farmers had it and it was 40% off. International readers, that never happens here in NZ so when it does, y'all bet we get excited. Anyway, this mascara curls and adds volume like nobody's business. I feel like mascara is very much a personal preference thing but in my opinion, L'Oreal's mascaras are some of the better ones out there and generally don't disappoint. Currently Reading: Okay so I'm a serial reader, that isn't news to anybody. I thought I'd draw attention to the two books I'm currently immersed in. They're both novels which is unusual in itself for me but I wanted a break from the Plath journals. Anyway, first up: The Guernsey Literary & Potato Peel Pie Society*. Longest title ever. Anyway, this book, told through letters, is about a London writer in the days post WW2 and a book club/secret society of sorts formed in Guernsey. I love epistolary novels. They're so clever. If I ever write fiction, this'll be the style I choose. Secondly, The Female Persuasion. This book flew onto my radar towards the end of last year I believe and I was so excited when it finally arrived. I'm saving my opinions for a review later in the month but so far I am loving it. Manifesto: I can't really explain this in words and honestly, I am sure some of the deeper meaning was perhaps lost on me but regardless, Albertine and I thought it was fantastic. So Manifesto is an exhibit celebrating various art movements and paying homage to them+the changing nature of creativity and the values we place on art. In each of the thirteen films, Cate Blanchett adopts a new character to tie in with each film. She's anything from an Australian schoolteacher, a Russian choreographer, a hot-mess Brit, even a puppeteer. Actually the puppets were borderline terrifying, I'm not gonna lie. Anyway, if you are in Auckland between now and June, it is worth a visit. Set aside some time. We were in there for at least two hours and didn't quite get to watch every single film. I think the idea is you're supposed to go in and out but if you can immerse yourself in them all, it is worth doing.